Cookbook #202: The New Pillsbury Family Cookbook, The Pillsbury Company, Minneapolis, Minnesota, 1973. 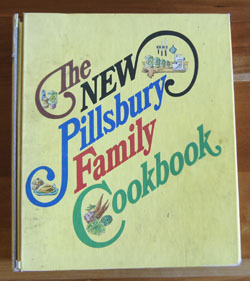 The New Pillsbury Family Cookbook is one of my three most-used reference cookbooks, alongside McCall’s Cook Book (1963) and the Joy of Cooking (1964). I always reference this book when cooking a good roast, especially a rib eye roast. I also use the fruit pie baking guide. This book is well-used, but entirely readable! It’s great for basic quick bread recipes too. If I want advice on how to cook or bake anything, this is one of the three I consult. Or, if I want to compare recipes. The tone is straightforward, no “bossiness” like Joy of Cooking. The writing style is not “chummy” either. I am very comfortable with this book and its recipes – I grew up with this type of cooking, and began cooking this way, and still do, a lot of the time. Sure I often cook more twenty-first century, exploring new ingredients and methods, but our day-to-day meals are usually pretty twentieth century. We rarely eat dinner out, and that means I’ve had to come up with meal ideas zillions of times to keep things from getting boring. The New Pillsbury Family Cookbook? I won’t let go of it! 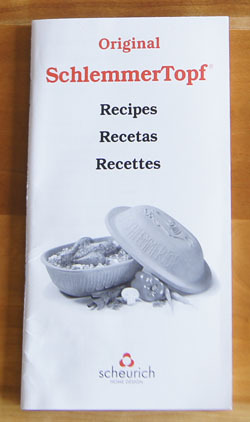 I search the web, and discover that others must also like this cookbook. 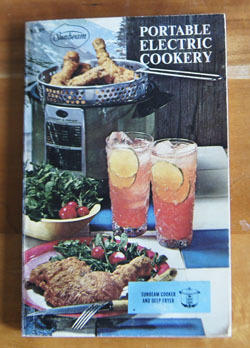 It’s labelled a “classic cookbook” and also “vintage”. Hey, I resemble that remark! (I bought it when I was only 23.) This is a five-ring loose-leaf binder cookbook. I find that it was also published as a hard-bound book (408 pages, just like mine) and is now selling for as much as $74 when in mint condition (VintageCookbook.com). Guess I’m not the only one who likes classic American cookbooks. Pillsbury is currently a brand name used by both General Mills (Minneapolis-based) and the J.M. Smucker Company (Orrville, Ohio-based). (Wikipedia.) Pillsbury has a current website with lots of recipes. 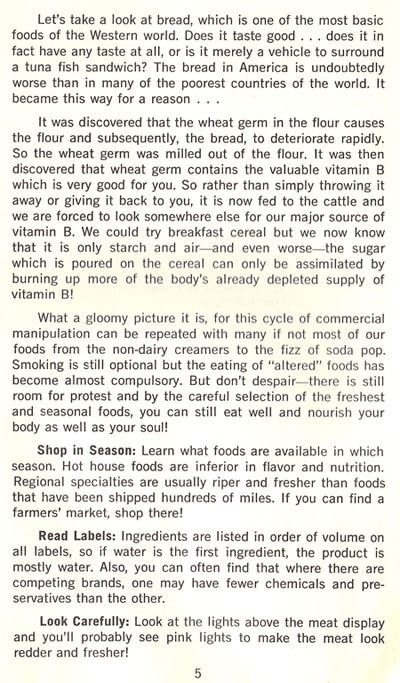 Note that Pillsbury is also the name on many of the “Bake-Off” booklets that I have covered in this blog. 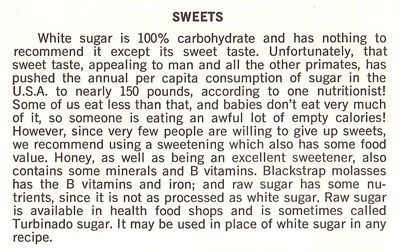 One thing about this book has always made me smile: cake, candy, and pie sections come before meats and main dishes. Vegetables are last. I like cake first too! . . . but just now I realize . . . the chapters are in alphabetical order. Geesh, that takes some of the fun out of it! As I flip through the pages, I note several recipes I’d like to try. I like the “batter” breads in the yeast bread section, like English Muffin Bread and Dilly Casserole Bread. These are no-knead breads, and although not held overnight like the current no-knead breads I make, they give a hole-filled texture, kind of like a crunch, to the finished breads. I note an apple cake that has 2 cups of fresh apples and only 3/4 cup of flour. The Carrot Cake has honey in it, and less oil than the current very good but also very high calorie version that is my standard. It also suggests using whole wheat flour instead of all-purpose flour, and gives directions for baking at high altitude (5200 feet). I made notes on the Brownies and Pumpkin Bars recipes. If I make a pecan pie, I consult this book – and have post-it notes on that page. If I forget the proportions for a graham cracker crust, or want to make a pie crust from vanilla wafers or other cookies, directions are in a nice table on page 147. And page 149 is indespensible to me: a table of how to bake different sizes and kinds of fruit pies. Once again . . . I really do like this reference book. But let’s go on. The last chapters chapters show little signs of use. Seafood and outdoor cooking, salads and sauces, vegetables. I find a few basic recipes for mayonnaise, waldorf salad, tomato aspic, salad dressings, and a good selection of sauces, like mornay sauce, veloute sauce, hollandise sauce, cocktail sauce, and barbecue sauce. Okay, time to cook! 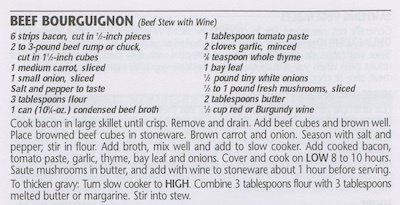 The recipe from The New Pillsbury Family Cookbook for “Citrus Simmered Steak” is above; below is my version. Citrus Simmered Steak is simmered for a couple hours on the stove top, so I decided to pull out my big old cast iron pot. 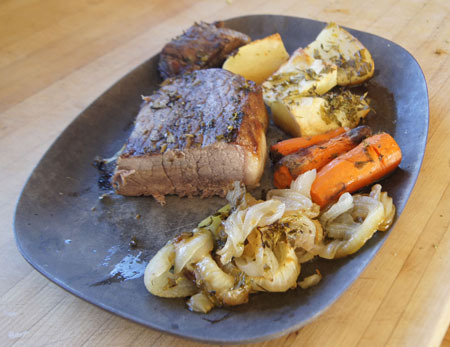 Lately I’ve been using the LeCreuset for braising; it’s nice that it goes from stove tip to oven. But I haven’t used the cast iron pot in ages, and thought I’d re-familiarize myself with the benefits of this pot. I suggest any covered, large pot you have, but the heavier the better. Heat the oil in a large pot on the stove top. 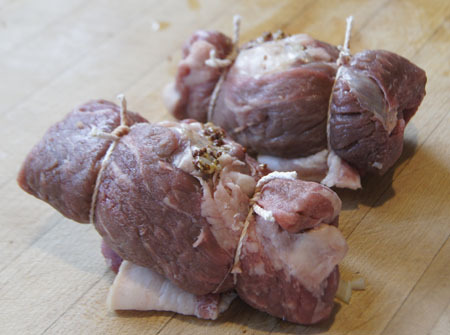 Salt and pepper the meat, then cut it into large chunks that will fit into the pot. Brown the meat on both sides. Add mushrooms, onion, ketchup, soy sauce, lemon peel and lemon juice, and thyme. 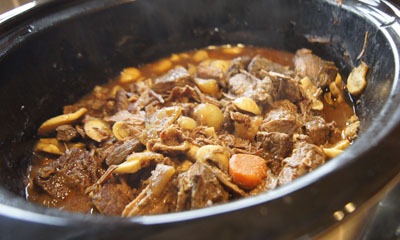 Simmer, covered, for about 2 hours, or until the meat is very tender. Check and stiir occasionally and add a little water if it looks like the mixture is drying out. When the meat is done, remove it from the pan and set aside. Combine the sugar and cornstarch, then mix in the 1/4 cup water. Add this mixture to the pan and stir into the drippings, heating until bubbly and thick. Add more water if you think it’s too thick. Add the sliced lemon to this gravy, and then add the meat back in. Simmer a few minutes for the flavors to blend. Slice the steak across the grain (yes, it’s kind of messy to do this). 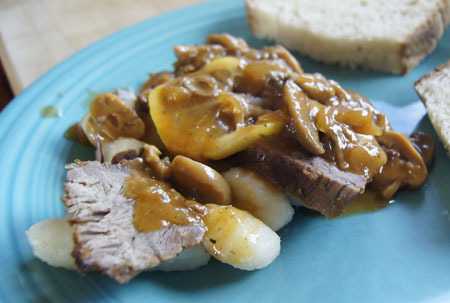 I served the steak-sauce mixture over store-bought gnocchi (because I like them! ), but it would also be good over mashed potatoes, rice, or pasta. This was tasty and flavorful I left most of the lemons off my husband’s serving because I wasn’t sure he’d like them. 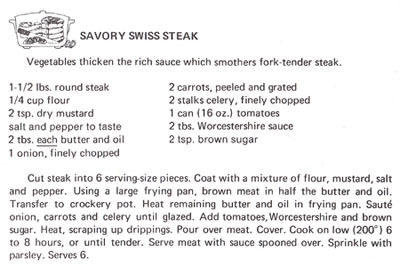 The Swiss/round steak was a bit like, well, like “round steak”. 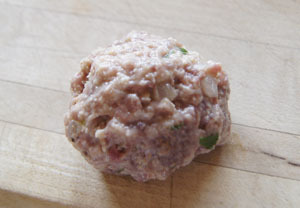 I always find this cut of meat rather chewy and flavorless, no matter how I cook it. With the sauce and the long cooking, though, it did make a good week night meal. I scraped the sauce off the leftover meat, sliced it thinly, and it made a yummy sandwich with tomatoes, lettuce, and ketchup. The last bit of leftover meat went into tacos. Of course, I am keeping this cookbook! Cookbook #183: Extra-Special Crockery Pot Recipes, Lou Seibert Pappas, Bristol Publishing Enterprises, San Leandro, CA, 1975. 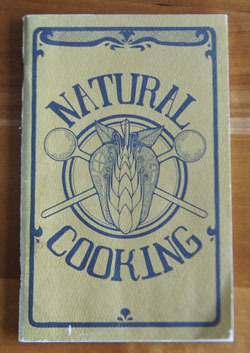 A Nitty Gritty Cookbook. I have 10 crock pot/slow cooker cookbooks! Crazy. 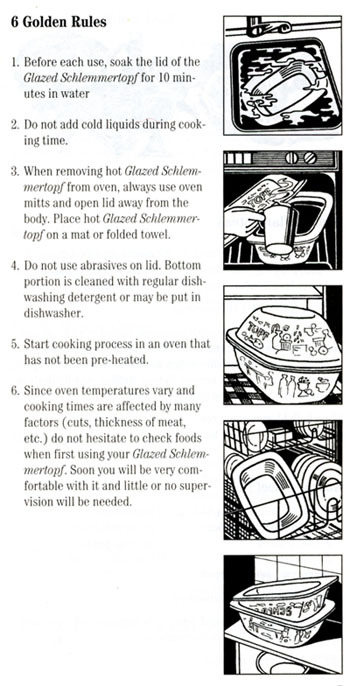 I discussed the history of crock pots in a previous post: The Electric Slow Cooker Cookbook. 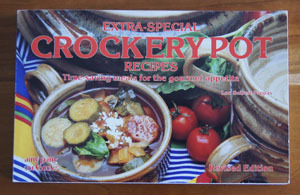 Extra-Special Crockery Pot Recipes is similar in design and layout to The Bread Machine Cookbook II, another “Nitty Gritty Cookbook”. These books are all about recipes – cleanly laid out and easy to follow. I find lots of different ideas to try in Extra-Special Crockery Pot Recipes. The soups chapter includes the basics (French onion soup) and the slightly exotic (Caldo Xochitl). Next is salads. Salads in a slow cooker? At first I thought: cooked salads? But no, the recipes are for regular lettuce-type salads including leftover slow-cooked chicken or beef. I am often looking for “main dish salad” recipes in the hot summertime. 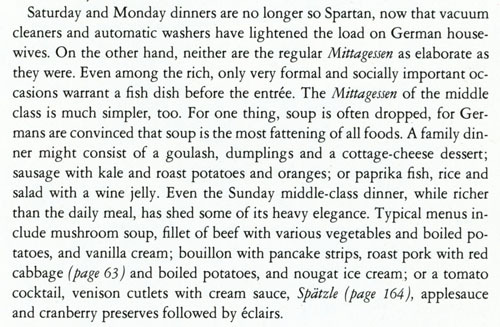 I’m not tempted by any of the recipes in the fish chapter – fish generally needs only a brief cooking. 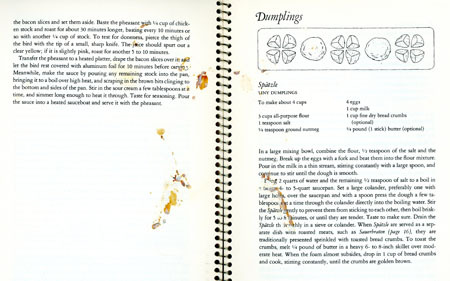 The poultry chapter includes the basics (poached chicken) and the unusual (Chicken and Cherries Jubilee). 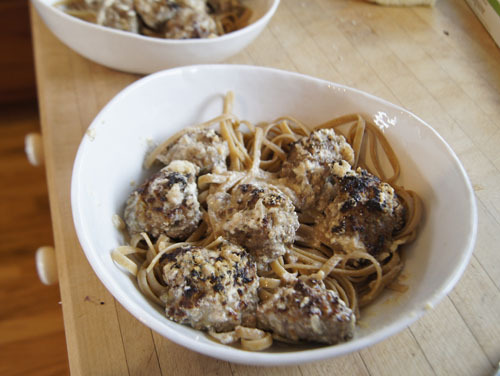 “Meats and Casseroles” has lots of ideas. 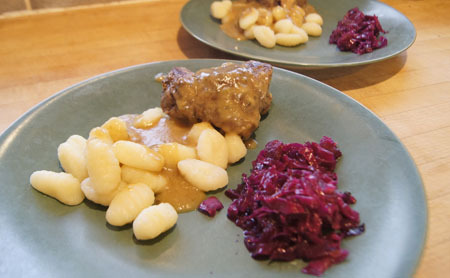 It’s the longest chapter in the book, and I like a lot of the recipes: a wide range from the basic (Meat Balls Stroganoff) to the unusual (Choucroute Garni). 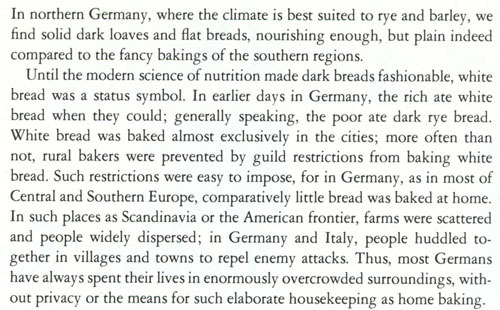 “Breads and Cakes”? Why bake bread in a slow cooker? “There are sometimes occasions when you may prefer not to heat the oven or perhaps you are at a location without an oven, when having a crockery pot makes baking possible.” I remember our relatively recent family reunion in California where the oven in the rental did not work, so we cooked a cake in the barbecue. But hey – we could have looked for a crock pot instead! The fruits chapter gives recipes for cooked fresh fruit to be used in desserts or for breakfast. “Preserves” has a recipe for apple butter (already made it!) as well as orange marmalade and apricot pineapple jam and a couple chutneys. Beverages? Hot Spiced Cider, Swedish Glugg, and Hot Mulled Wine. 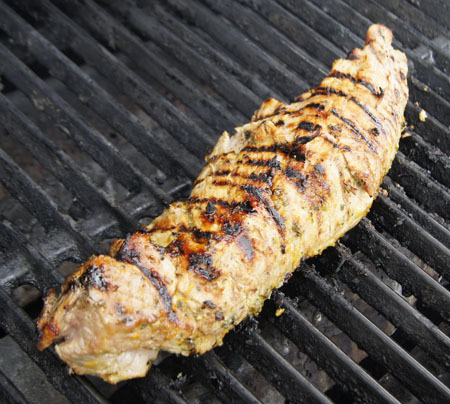 Round steak is a very lean meat (nice when you don’t want a fatty gravy) but it can be flavorless or tough. 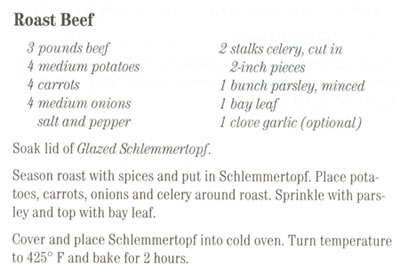 Hopefully this recipe makes it tender and tasty! 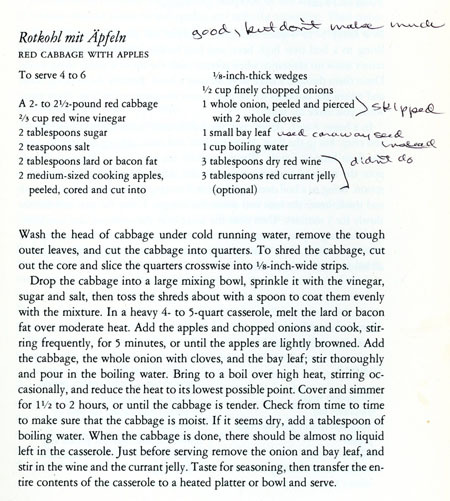 I think I’ve tried this recipe before, since this page was marked when I pulled the book off the shelf. Remove the meat from the fying pan and put it in the crock pot. Put the rest of the butter and oil in the hot (now empty) frying pan, then add the onion, carrots, and celery. Cook until the vegetables are “glazed” or softened. Add the tomatoes, Worchestershire, and brown sugar; heat, scrapping up the fond. Transfer the entire mixture to the crock pot. Cover and cook on low about 6 hours, or until the beef is tender. Serve over noodles, mashed potatoes, or rice, with some fresh parsley sprinkled on top (if you have it). This was excellent! I will make it again. Very tasty and the meat was very tender. There was enough for two meals for the two of us (I froze half for later use). 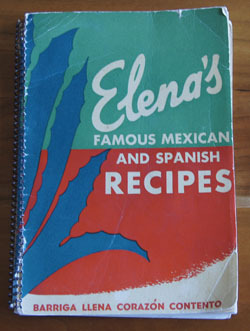 Cookbook #179: Elena’s Famous Mexican and Spanish Recipes, Elena Zelayeta, Dettners Printing House, San Franscisco. Driving out of Boulder last week, I noticed a new Mexican grocery store. I wanted to go in! I love discovering small stores with interesting ethnic products. I used to get the best corn tortillas from a store in almost the same location. Makes me hungry for Mexican food. Time to pull another Mexican cookbook off my shelf! And I have only one that I have not yet covered: Elena’s Famous Mexican and Spanish Recipes. I covered another of her cookbooks, Elena’s Secrets of Mexican Cooking, in one of my earliest posts. That book was published in 1958, and this one in 1944. Inside the back cover is the price it originally sold for: $1.50 from May Co. I think I bought it from a used book or junk store, way back when we lived in Boulder. But I am not sure. It could have been my mother-in-law’s – there is some writing in this book that might be hers. 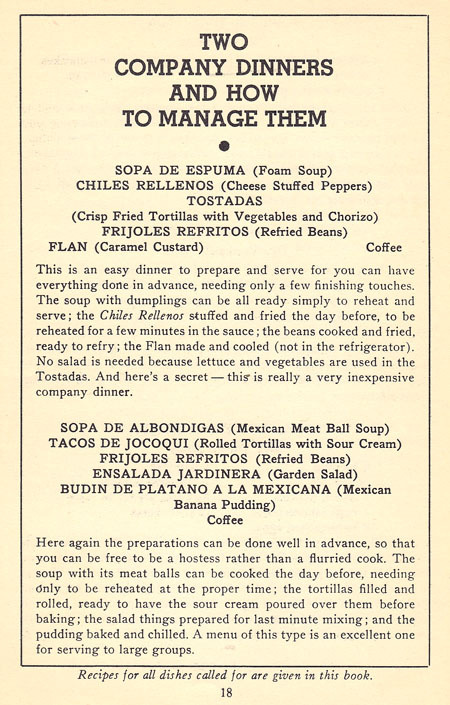 Some of the recipes in Elena’s 1944 book were carried through to the later book – “because no book on Mexican cuisine could possibly be without them”. The first chapter of Elena’s Famous Mexican and Spanish Recipes is “Sopas – Soups”. I learn that there are two types of soup in Mexico: wet and dry. Wet soups are liquid (plus meats and vegetables) and served at the beginning of the meal, dry soups are served next. Dry soups are rice or vermicelli cooked in soup stock, the stock being entirely absorbed in cooking, in effect making them more like our idea of seasoned cooked rice. “Eggs, Glorified ways of serving them”, the next chapter, has at least one recipe I’d like to try: “Rice Nests with Egg”. In this recipe, bacon is wrapped around a small pile of cooked rice and secured with a toothpick, then topped with a raw egg and baked in the oven. I like this recipe for a couple reasons. One, it sounds good! And two, it illustrates Elena’s Mexican dishes. 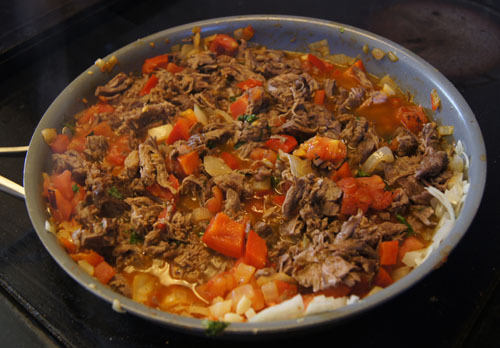 They are often simple home cooking, and barely our typical ideas of “Mexican” cooking. “Tortillas, Tacos, Tostadas, Enchiladas and other things made with masa” is the title of another chapter. Elena talks about treating a pan with “hydrated lime” when one makes homemade tortillas. Hydrated lime is not made from limes, instead, it is calcium hydroxide, and is used to help the masa bind together. 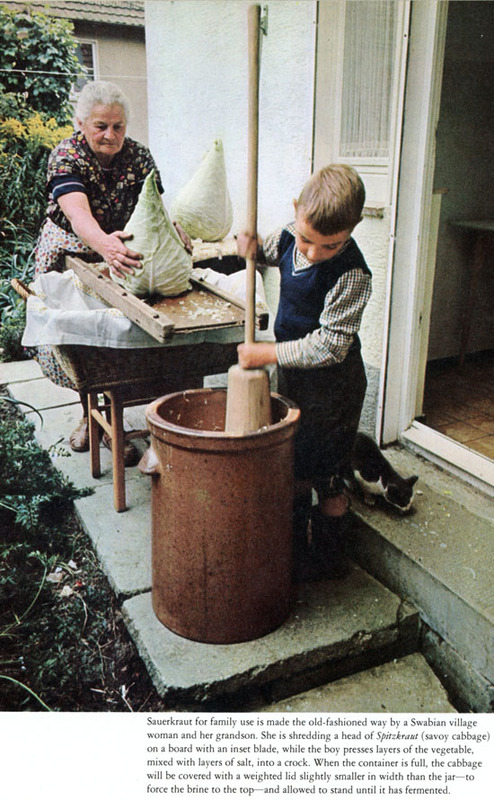 All of her recipes that include masa (a type of cornmeal) call for purchasing it fresh from a Mexican store. I’m not sure this type of masa is still available, and I ran into problems when I tried making a tamale casserole using the bagged masa that is currently sold in US supermarkets. But in general, her recipes call for store bought tortillas, so it’s not a huge problem. She also mentions an item I’d like to find called “raspadas”, thin tortillas specially made for tostadas. And last but not least, desserts! Flan, rum and macaroon pudding, Mexican bread and rice puddings, banana pudding, cookies (Little Drunkards sound interesting! ), and turnovers are among the sweet recipes in this chapter. I do like this cookbook and definitely will keep it. 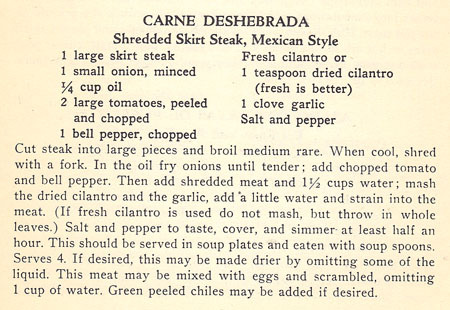 Lots of good recipes, information on historical Mexican cooking, and written by an interesting woman. 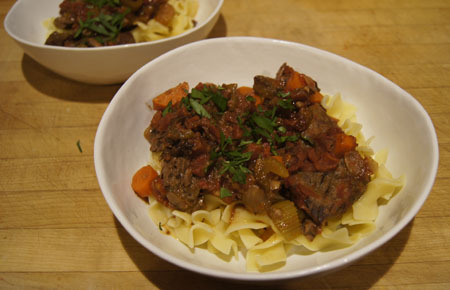 Usually when I make “shredded beef”, I braise a roast for a long time until it falls apart easily when shredded with a fork. In this recipe, the skirt steak is broiled just to medium rare – sounds like an interesting variation. I found it hard to “shred with a fork”, so I went back and forth using a fork and a sharp knife to shred/chop instead of following the directions. I couldn’t find a green bell pepper, so I used a red one. I like lots of fresh cilantro and garlic so I increased the amounts. And I added the green chiles as suggested. I preferred not to serve this “in soup plates and eaten with soup spoons”. Instead, I kept the meat a little drier by adding less water, and served the mixture in a corn tortilla with grated cheese and salsa. Cut the steak into several pieces and broil in an oven just until medium rare. Cool, then shred with a fork and a sharp knife. Fry the chopped onions in a little oil until tender. Add the tomatoes, bell pepper, chile powder, cilantro, garlic, chiles, the shredded meat, and about 1/2 cup water. Salt and pepper to taste. Simmer about a half hour, adding a bit more water if needed to keep the mixture moist. Serve wrapped in tortillas with cheese and salsa. 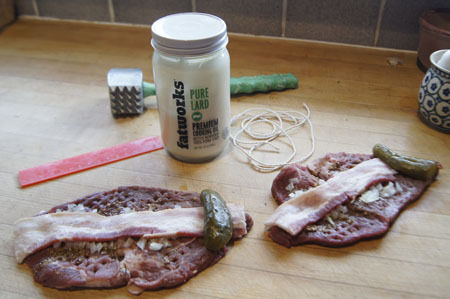 Below is a photo of the skirt steak after I cooked and “shredded” it. 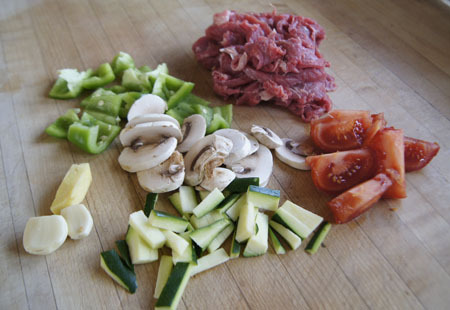 And here is the pan of shredded beef and vegetables, ready to be served. And how did it turn out? Wonderful! The skirt steak was so, so flavorful! A different experience than my braised style shredded beef. I used “Tortillaland” corn tortillas, half-cooked tortillas that heat up on a dry grill into soft but sturdy tacos. 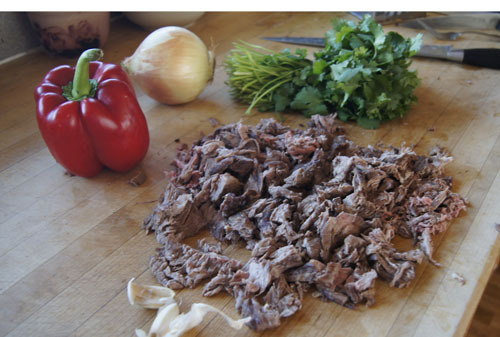 These tortillas were strong enough to stay together, even packed with shredded beef and fixings. I made another meal using the leftovers by mounding the mixture and some grated cheese in thin flour tortillas, rolling them up, then browning in a big fry pan in a little oil just until all sides were browned. Then, I cut into bite-sized pieces and served with salsa and sour cream. Yum again. Cookbook #177: Cover and Bake, by the editors of Cook’s Illustrated, a Best Recipe Classic, America’s Test Kitchen, Brookline, MA, 2004. I discovered my first Cook’s Illustrated magazine sometime in the early 2000s. This magazine has no ads – what a treat! I clipped and saved several recipes, then I subscribed to Cook’s Illustrated online. (It’s the only cooking magazine I subscribe to.) I ordered this book, Cover and Bake, and I use it a lot. 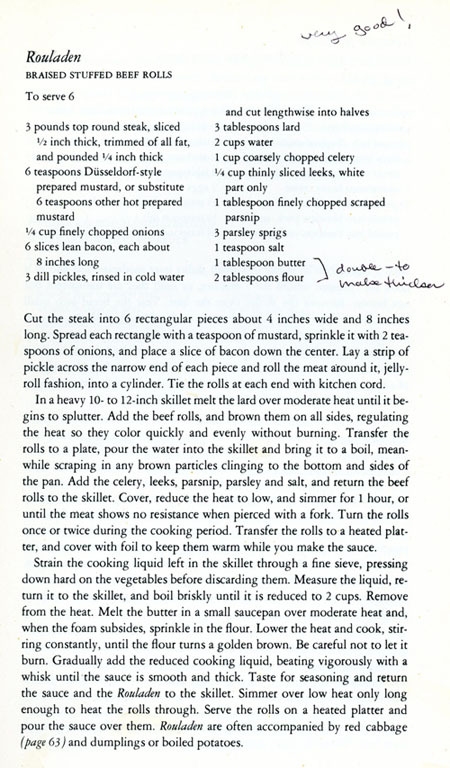 Christopher Kimball founded the enterprise that includes Cook’s Illustrated and America’s Test Kitchen, where they develop the recipes in their publications. This “Kitchen” is located in Brookline Massachusetts, and is where the TV show “America’s Test Kitchen” is filmed. Most of my friends who are into cooking love this show! Cook’s Illustrated recipes always include a lengthy discussion. In their test kitchen, they try each recipe many different ways, and report on their findings. This appeals to my scientific side! Plus, when I follow the directions, the recipes always come out excellent. For instance, their recipe for pie crust taught me how to finally make a tender, easy-to-roll crust. I often browse the site for new ideas, or how to cook . . . anything! I also use their reviews of kitchen equipment to help decide on a new purchase. The chapters in Cover and Bake are: Assemble and Bake (casseroles), Pot Pies and More, Oven Braises and Stews, Skillet Casseroles, Savory Side Dishes, Breakfast and Brunch, and Slow-Cooker Favorites. 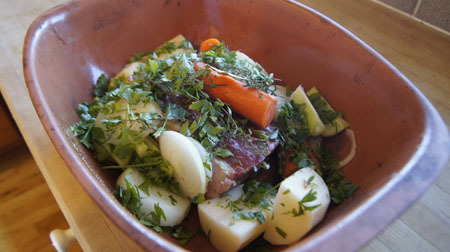 My favorite chapters are the pot pies and oven braises and the slow-cooker recipes. I have so many notes in this cookbook! It will be easy to find a recipe to cook for this blog. I start flipping through the pages. What catches my eye is “Chili Mac”, from the first chapter, Assemble and Bake. I haven’t made many of the casseroles in this book, and it’s time to try one. Chili Mac is an American comfort food, although I’ve never made it before. It even has its own Wikipedia entry. Briefly, it’s made with meat-bean chili, noodles, and topped with cheese. Sounds good to me! Because of copyright issues, I am not scanning in this recipe. It’s a relatively recent publication, and the editors are still actively publishing. 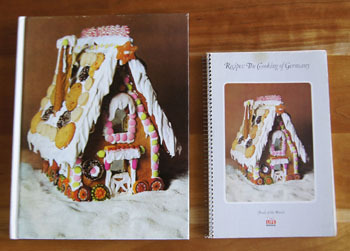 The original recipe is on pages 80-81 of the Cover and Bake. Page 80 is a two-column discussion of how they got this recipe “perfect”! 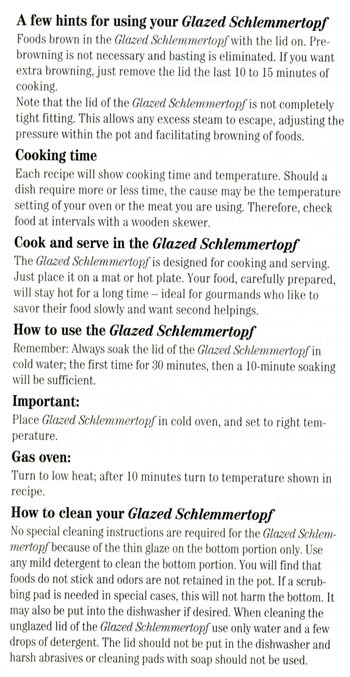 Page 81 gives the recipe in 1 1/2 columns. This is the typical layout of Cook’s Illustrated recipes: not a fast food publication! I changed their recipe a bit (my adaptation is below). Cook the macaroni in salted boiling water until al dente. At my altitude of 5300 feet, this took about 10 minutes; it would take less time at sea level. (It’s important not to boil the macaroni too long, as it will continue to cook when the casserole is baked.) Before draining the pasta, reserve 3/4 cup of the pasta water; this will be used later when the casserole is assembled. As the macaroni cools, cook the hamburger in a large pan or pot, salting to taste. (The original recipe recommends cooking the hamburger in a little oil; it’s up to you.) When the meat is cooked, drain it in a colander to remove (and discard) the fat. Set the meat aside. Add a little oil to the now-empty pan and cook the onions, red bell pepper, garlic, chili powder, and cumin, stirring, until the vegetables soften and begin to turn brown (about 10 minutes). Add the diced tomaotes, tomato sauce, brown sugar, the 3/4 cup reserved pasta water, and the drained hamburger. Simmer 20 minutes. Stir the cooked macaroni into the pot and season to taste with salt and pepper. 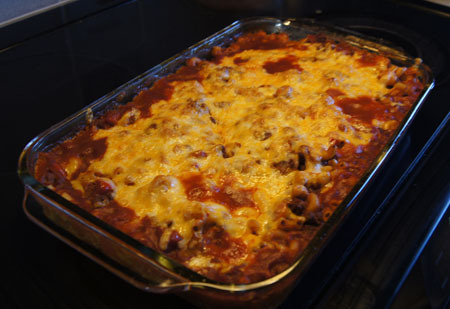 Pour the mixture into a 9×13-inch rectangular casserole and sprinkle with the grated cheese. Bake at 400˚ for 15 minutes, or until the cheese is melted. Oh yes, this was good! Yum! 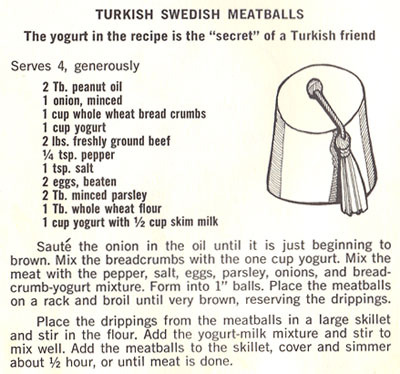 I will definitely keep this cookbook. 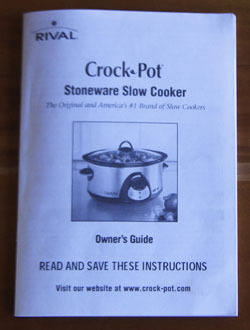 (And tucked inside is the little Rival Crock-Pot Cookbook that I mentioned in an earlier post.) With fall coming on, I am sure I’ll be back to Cover and Bake soon, looking for warm and hearty meal ideas.